When TSUJIRI first came to Toronto in 2016, my friend and I tried their TSUJIRI Sundae and it was delicious! 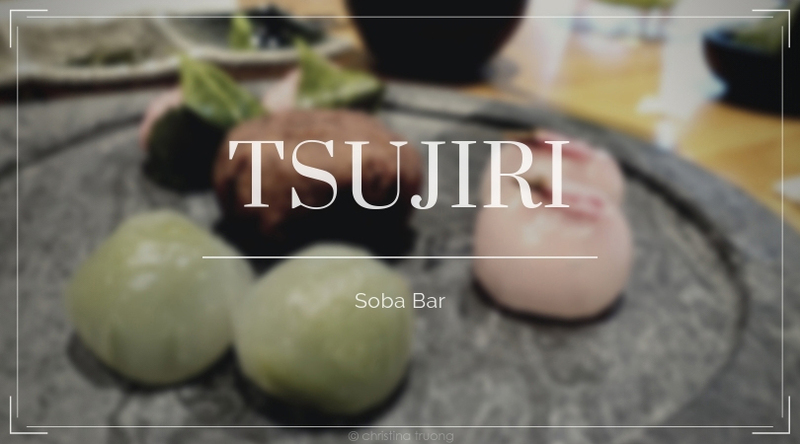 Soon after, in 2018, TSUJIRI Soba Bar opened. My friend and I had bookmarked the place (alongside a list of other places we want to check-in and dine one day), and we finally had the chance to stop by, catch up and savour a taste from their delicious menu. Disclaimer: Photos are of my own.